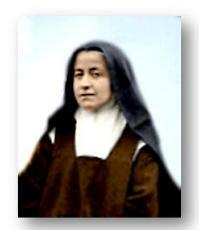 Marie, who was born February 22, 1860, was a Carmelite in Lisieux with Therese. Her religious name was Sister Marie of the Sacred Heart; she died January 19, 1940, at age 79. 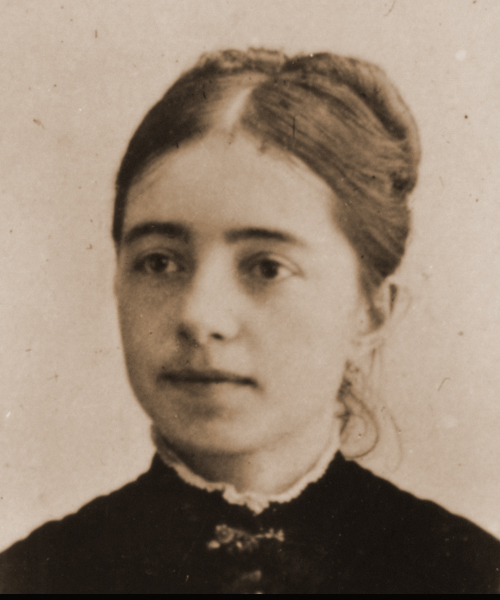 Pauline, who was born September 7, 1861, was a Carmelite in Lisieux with Therese. Her religious name was Mother Agnes of Jesus; she died July 28, 1951, at age 89. Léonie, who was born June 3, 1863, was a Visitation sister at Caen (entered at age 35 after several previous unsuccessful attempts). Her religious name was Sister Françoise-Thérèse; she died June 16, 1941, at age 78. Helene, who was born on October 13, 1864, and died on February 22, 1870, approximately four months before her sixth birthday. Céline, who was born April 28, 1869, was a Carmelite in Lisieux with Therese. Her religious name was Sister Geneviève of the Holy Face; she was the last of the sisters to die--on February 25, 1959, at age 89. 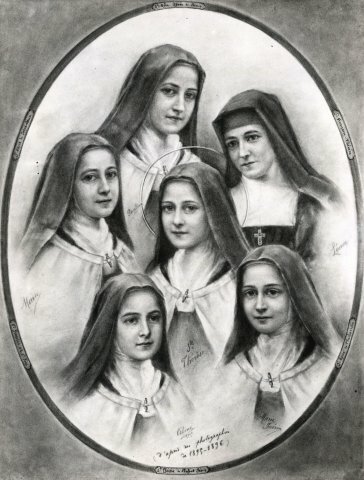 (Photos of the four sisters of St. Therese are below--each line of pictures is another stage of their lives. L-R in each line is: MARIE, PAULINE, LEONIE, AND CELINE) - Note: Moving the cursor across each picture of the sisters as children will reveal the age at which the picture was taken; moving the cursor across each picture of the sisters as religious will reveal their religious names. Also below are more detailed biographies of each of the sisters. Most devout Catholic families would be thrilled to have one of their children become a Priest or Religious. Can you imagine a large family in which ALL of the children entered religious life? Such was the case with the family of Louis and Zélie Martin: All five of their grown daughters became nuns. In a sense, Louis and Zélie were the roots of this holy family; their love, holy examples, and teachings about the Faith were like the "fertilizer"; and their five grown daughters were the "fruit they bore." Here now are some brief stories of St. Thérèse’s sisters—from oldest to youngest, all of whom were holy in their own right. Marie Louise Martin was born in Alençon, France, on February 22, 1860, the first-born of the nine children of Louis and Zélie Martin. She had a strong and fearless spirit, and was straightforward and frank. Her family’s nickname for her was “Gypsy;” however, later in life, her father would also nickname her his beloved “Diamond”. In October 1868, Marie entered the Visitation boarding school in Le Mans, France. Her aunt (her mother’s sister), Sister Marie-Dosithée, a nun who taught there, gave the Martin Sisters both spiritual and moral guidance while they were students. However, because Sr. Marie-Dosithée had been diagnosed with Tuberculosis, Marie’s First Holy Communion was moved up one year to ensure her aunt could be there. Meanwhile, Marie prayed to St. Joseph to intercede for her aunt’s cure. Not only was her aunt there to witness Marie’s First Holy communion on July 2, 1869, but she also lived for seven more years! When Marie received the news that her baby sister Mélanie died on October 8, 1870, she couldn’t stop crying; but she immediately wrote to her mother to try and comfort her. Then on July 19, 1870, the Franco-Prussian War began. Once the Germans had advanced onto Le Mans, the parents of the students all went to the school to bring their children home. Sadly, Le Mans fell on January 11, 1871, and the Germans used the boarding school as an army hospital. Next to fall was the town of Alençon. As the German army advanced and the bombs landed nearby, Zélie led all of the children into the root cellar. Once the smoke cleared and the town officially surrendered, the Germans forced each French family to house a number of soldiers. The Martin family housed nine of them on the bottom floor of their house. After the occupation ended on May 10, 1871, both Pauline and Marie returned to the Visitation boarding school in Le Mans. 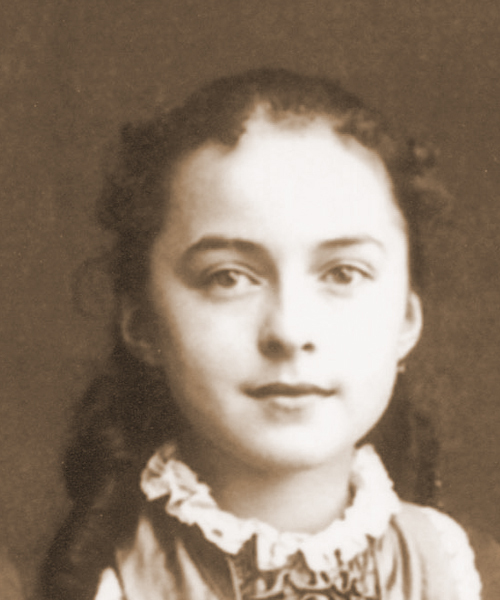 On January 4, 1873, when her youngest sister Thérèse was baptized, Marie became her godmother. Later that same year, Marie contracted typhoid fever and was sent home from school. Her father made an eighteen-mile pilgrimage on foot to a church to pray for her cure, and she eventually recovered. After completing her studies on August 2, 1875, she began assisting Pauline in home schooling her little sisters. Later, she became very upset when Zélie brought up the subject of marriage. She told her mother that she would never marry and begged her to not bring up the subject again. By the Summer of 1877, Zélie knew she was dying of breast cancer. Marie promised to continue the rearing of the youngest girls. Marie stayed by her side until Zélie died on August 28, 1877, when Marie was seventeen. Marie was excited about the family’s move to Lisieux after Zélie’s death, honoring a plea from Louis’ wife to live closer to her brother and his wife, Isidore and Céline Guérin. Marie took over the household duties and helped her aunt with their store accounts. After Pauline entered the Carmelite Monastery in Lisieux in October of 1882, Marie took full control of her younger sisters’ education. Four years later, when she was 26, Marie joined Pauline at the Carmelite Monastery and was eventually given the name Sister Marie of the Sacred Heart. Through the years, Marie held many positions in the monastery, such as assistant infirmarian, gardener, and refectorian. She also initiated any new postulants in the ways of Carmel. Even though Marie was united with her blood sisters in the Carmelite Monastery, there was very little time for them to interact with each other while taking care of the needs of the other sisters. Years later, in 1888, Thérèse herself entered the convent. 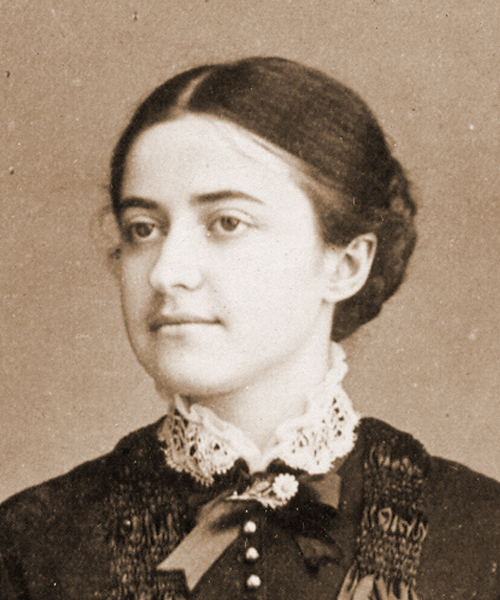 In 1895, she approached Marie and asked her if she would like to become a “Victim to the Merciful Love of God.” Marie first said, “Indeed not, for God would take me at my word, and I have a great dread of suffering.” But Thérèse explained, “There may not be an increase in suffering but an increase in your love of God.” Marie was convinced and made the oblation—discovering that her true vocation was Love. By 1923, Rheumatoid Arthritis, which Marie had suffered from since 1914, had attacked her muscles so severely that she couldn’t function normally. She gradually got worse until she was moved into the infirmary on January 25, 1929. Her inability to move on her own was terrible penance for her, but she remained very patient. Her legs and feet became consistently swollen and she was riddled with sores for eleven years. 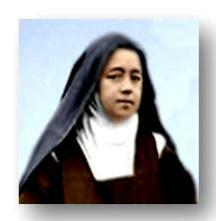 The Act of Oblation she had made with Thérèse greatly consoled her during her suffering, and she introduced it to many people she corresponded with. On January 18, 1940, she appeared to be in a trance. At one point, she cried out, “Souls! Souls! ...There are so many who do not love the good God! How is it possible not to love so good a God? Were I to go to Hell for eternity, I would still say to Him, ‘My God, I love you!’” On January 19, 1940, forty-three years after the death of St. Thérèse, Marie died at the age of seventy-nine—the first of the remaining sisters to do so. Her last audible words were, “I love thee,” as she kissed her crucifix. The community was called immediately and were struck by her look of great peace and joy. Her sisters prepared her body for burial. While doing so, Pauline found a letter Marie had been writing to her. In it, sounding similar to Thérèse, Marie said that she would “spend eternity making God known by many.” Her funeral Mass was held on January 23, 1940, and she was buried in a crypt located underneath the shrine chapel of the Basilica of St. Thérèse. Note: Construction of the basilica began in 1929; it was ready for use in 1932, blessed in 1937, consecrated in 1951, and completely finished in 1954. It includes mosaics from the life of St. Thérèse. To read more about the life of Marie Martin, go to www.martinsisters.org. On September 7, 1861, Marie Pauline Martin entered into the world with brown hair and brown eyes—resembling her mother both in personality and in looks. Pauline was energetic and could accomplish many things in a short span of time. From the start, she was very affectionate and had a soft, angelic voice—but also a fiery temper. Family life in the Martin household was filled with much excitement in all its simplicity. They would gather around the piano and sing, and the girls would play draughts (checkers). But after, Marie and Pauline would then bring out a catechism book and read it to the rest of the family before their evening prayers. Pauline developed a love for painting, using the attic as her studio. She painted watercolors, which her father then framed. When Louis went on trips, he would bring back some shells, ivory, or parchment, so that she could paint miniatures on them. She also spent time learning to sew and do needlework. When the family spent time at the Pavilion during the Summer months, Marie, Pauline, and Léonie were each given a small plot of land to cultivate and plant vegetable and flower gardens. Generosity was always important in the Martin family home. The poor would congregate outside the family’s home every Monday to receive some charitable gift. Thérèse would meet them at the front entrance to find out their needs and would then relay these to Pauline, who would decide what to give them. Pauline was the first of their children to exhibit any interest in becoming a nun. Her aspiration was to become a Visitation nun like her aunt, Sr. Marie-Dosithée. In early 1877, Pauline found out about her mother’s breast cancer. By the time Summer arrived, Zélie’s health had reached the point where only God could save her. Pauline was convinced that if they went to Lourdes, her mother would be cured. And so Zélie, Marie, Pauline, and Léonie all took the train to Lourdes. As Pauline and her sisters watched their mother get dunked in the icy cold waters of Lourdes day after day, it became apparent she was not going to be cured. With deep regret, they boarded the train for home. On August 1, 1877, Pauline completed her studies at the Visitation boarding school and, back at home, assisted Marie in preparing Léonie, Céline and Thérèse in their studies. By the end of August, the pain from Zélie’s cancer spread throughout her body. As Pauline sat beside her, Zélie grabbed and kissed Pauline’s hand and then pointed to her sisters, signaling that she was relinquishing all of her responsibility as a mother to Pauline, who was not quite sixteen years old. Zélie died around midnight that night. Afterwards, Pauline had a dream of an angel writing in the sand, “Blessed are those that mourn, for they shall be comforted.” This was a confirmation to Pauline that their mother’s soul was in Heaven. Following her decision, Pauline began making frequent visits to the Carmelite monastery in Lisieux to speak to the prioress about entering. But at the time there was no room for her, so she looked into entering the monastery in Caen. However, as she was about to go there, a postulant at the monastery in Lisieux suddenly died, creating an opening for her. 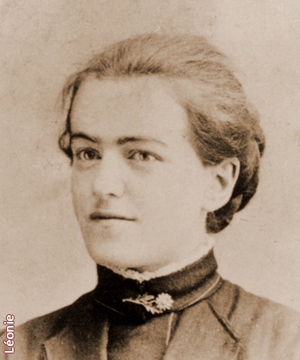 So, on October 2, 1882, when she was twenty-one, Pauline entered the Carmelite monastery in Lisieux as a postulant. On April 6, 1883, she became a novice and was christened with the name of Sister Agnes of Jesus. Pauline used her extraordinary talents to paint religious images on cards, letters, and statues—some sold to the public to support the Carmel. For the faithful, she wrote lovely works of poetry promoting God’s unconditional love. Pauline was also tasked with organizing the dining area for each of the community’s meals. She even got permission from the Prioress to continue to prepare Thérèse for her First Holy Communion. On May 8, 1884, Pauline made her profession to the Carmelite Order; on July 16, 1884, she had her veiling ceremony, witnessed by her family. In August of 1890, Pauline was verbally attacked by the prioress, Mother Marie de Gonzague, which cut deep into her heart. To add to this, Pauline was suffering from bronchitis, forcing her to be moved temporarily into the infirmary. It was a difficult period of time for her—both emotionally and physically. 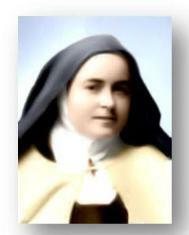 Thérèse encouraged Pauline to use each humiliation and physical suffering as a means of saving more souls. By 1951, as Pauline’s health declined even more, Céline (who had entered in 1894) spent most of her days with her. One month before Pauline’s death, Céline described her thus: “She is as sweet and serene as possible, totally abandoned to God.” By mid-July, a priest was called to hear her Last Confession. On July 28, Pauline died at the age of 89, surrounded by Céline and her whole community. A funeral Mass was conducted on August 1, with dignitaries and followers of St. Thérèse in attendance. Like Marie, she was buried inside the vault beneath the shrine chapel at the Basilica of St. Thérèse. To read more about the life of Pauline Martin, go to www.martinsistersorg. Marie Léonie Martin was born on June 3, 1863, with blonde hair and blue eyes, the third child of nine. However, her physical health was not good. After overcoming whooping cough, she contracted measles and had violent convulsions. She was cured of these after her parents prayed a novena for her healing. However, she developed a severe case of eczema, which lasted her entire life. A couple of weeks passed, and the secret to much of Léonie’s bad behavior was revealed. Louise Marais, a local country girl whom Zélie had taken into their home in 1865 when she was only 16, worked for the Martins as a maid. She decided to discipline the child who seemed to cause her mistress so much grief. When nobody was around, Louise beat and threatened Léonie, in order to satisfy her need for power. The tyrannical servant forced Léonie to obey no one but her. Léonie was terrified at the thought of the punishments to be inflicted if she behaved for her parents or told anyone. Then, when Léonie was 12 or 13 and Louise was about 27, Marie overhead the bullying going on in the kitchen. She confronted Louise, questioned Léonie, and told their mother the whole story. Zélie was horrified to learn it had been going on for years. She ordered Louise to leave, but Louise pleaded to stay as she had nowhere else to go. Zélie and Louis discussed it and decided it would be too cruel to dismiss her as she had no family. Besides, Zélie was so ill that she needed her help running the household. So, they allowed her to stay as long as she had no contact with Léonie and promised to leave after Zélie died. As soon as Louise lost control of her, Léonie’s behavior quickly changed and her relationship with her mother blossomed. 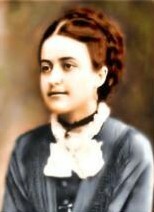 Zélie wrote to her brother Isadore, “I cannot help thinking that this conversion is due to the prayers of our sister, for everything changed after her death.” Léonie allowed her mother to help her transform her life, and she stayed at her side until her death in August 1877 when Léonie was fourteen. Afterwards, the family moved to Lisieux, where Léonie, Céline, and Thérèse were all enrolled in the Benedictine boarding school. After Léonie finished her studies there on October 1, 1881, she spent her time praying and caring for an old woman who was dying alone. She bathed, clothed, fed, and comforted her—and even prepared her body after she died. On October 7, 1886, at the age of 23, Léonie entered the Poor Clare monastery. Unfortunately, the rigors were too much for her to handle, and she was forced to leave after two months. In 1887, Léonie made a second attempt at religious life, and entered the Visitation Order. Regrettably, her health again prevented her from continuing and, on January 6, 1888, she returned home broken-hearted. Over five years later, in June 1893, when Léonie was 30, she traveled to Caen for a retreat at the Visitation monastery. While there, she approached the Mother Superior and asked to enter again. The Mother Superior agreed, and she joined them on June 24, 1893. Less than a year later, she received the habit and the name of Sr. Thérèse-Dosithée. On July 29, 1894, after having suffered another heart attack, Louis Martin died. Then, less than a year later, in the Spring of 1895, Sr. Marie Lefrançois was elected the new Mother Superior of the Visitation Order and created stricter guidelines. Léonie and some of the other postulants found it too hard to follow the rigors of these new rules and were asked to leave. On July 20, 1895, Uncle Isidore picked Léonie up and brought her back to his home. She cried so much that she couldn’t speak. At this time, Céline was no longer living with the Guérins, having left for the Carmel in 1894. For the next five years that she lived there, Léonie became very close with them. 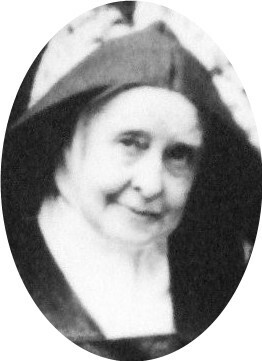 While in Lisieux, Louise Marais, the maid from her childhood, met with Léonie and apologized for her treatment of her. Léonie thanked Louise for helping to care for her mother when she had cancer, and she extended her forgiveness. When the time came for Léonie to leave, she had a hard time saying goodbye to her sisters, knowing she would not see them again on earth. When she returned to Caen, she had difficulties readjusting. The final separation from her sisters and the challenges of practicing the “Little Way” were taking a huge toll on her emotionally. Léonie remarked: “I belong to a family of saints and I must not blemish that heritage.” She especially revered Pauline as a person with great virtues. Around that time, Pauline notified Léonie that she had received permission from the Pope for Léonie to be buried at the Carmelite monastery. However, she chose to be buried at the Visitation cemetery. On August 10, 1917, a second exhumation of Thérèse’s remains took place. While her sister Céline was wrapping her relics in silk linens, one of Thérèse’s molars fell out, and Céline decided to send it to Léonie. When she received it, Léonie was overjoyed at having something of her sister (the tooth is now on display in Caen). Thérèse’s canonization was scheduled for May 1925, and Pope Pius XI extended an invitation to all the sisters to attend; however, not one of them was able to go. Due to the overwhelming interest in Thérèse, many visitors came to the Visitation monastery to see “the sister of St. Thérèse.” Léonie, being an assistant portress, would answer the door without letting them know they were speaking to her. Once, when a priest asked to see her, she replied, “I will ask our Mother Superior, but I do not think she will give permission for Sister Francoise-Thérèse to see you. Nevertheless, I can assure you that you will miss nothing. Speaking with her would not be worth your while.” He left stunned since it seemed that this sister was belittling Sr. Francoise-Thérèse. Almost immediately he met the chaplain of the Carmel who explained the “deception” to him. The priest was both amused and edified by her humility. During the month of December 1930, Léonie was plagued by Grippe, a viral infection with inflammation of the respiratory tract, along with fever, chills, and muscular pain. She already suffered from a number of other illnesses, including migraine headaches and tooth loss. When she got pneumonia on top of everything else, the Visitation sisters thought that she would die. Pauline heard about it and sent a telegram to their Carmelite brethren in Rome asking for prayers. Unexpectedly, Pope Pius XI himself responded back, sending Léonie his papal blessing. 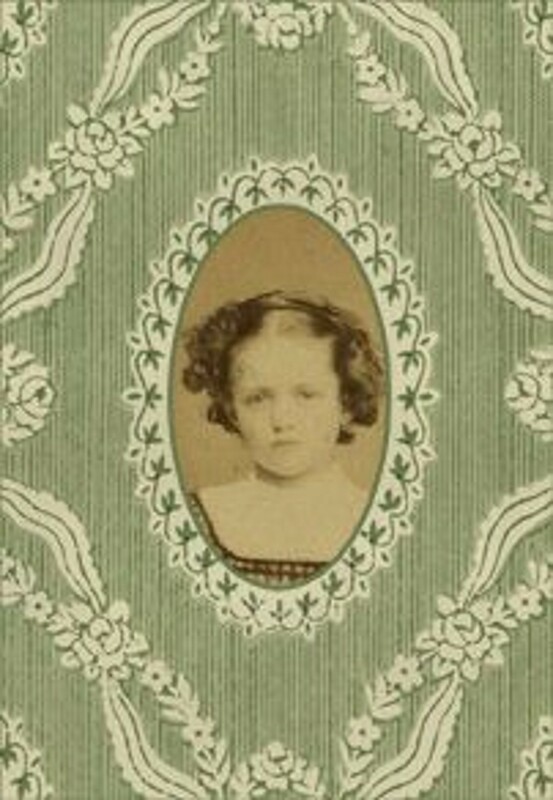 Then, on January 18, 1940, Léonie’s beloved sister Marie died. As was customary, two lay sisters from Léonie’s monastery were sent to her funeral. On May 10, 1940, Adolph Hitler’s army invaded France. The French and German governments signed an Armistice agreement that called for two zones: one to be occupied by the Germans and the other, by the French. Unfortunately, Caen and Lisieux were both in the German-occupied zone. Léonie and her Visitation sisters could no longer ignore what was going on outside the walls of their monastery. Léonie prayed ardently to her sister Thérèse for the safety and security of their family and their communities. As 1940 was coming to a close, Léonie’s health deteriorated further. No longer able to walk and suffering from bronchitis, she was moved into the infirmary. During May of 1941, Léonie contracted Grippe for the second time and wrote to her sisters, “I have suffered so much that I have the audacity to believe that I will not go to Purgatory. I have no fear of the good God. On the contrary, it's my extreme need of Him that gives me such confidence.” At the beginning of June, Léonie showed some improvement and so her community had a celebration for her 78th birthday and her 41st anniversary of profession. On June 12, 1941, Léonie had a stroke and was found on the floor unconscious. She woke up hours later and immediately realized that she was paralyzed on one side and couldn’t speak. When Pauline heard about it, she sent two lay sisters with messages from both herself and Céline. They also sent Marie’s rosary, Thérèse’s professional cross, and roses from their garden. As her condition deteriorated over the next five days, she clasped the rosary and the cross. On June 16, when her Visitation sisters brought in a replica of the statue of Our Lady of the Smile, Léonie smiled and held out her arms. On June 17, 1941, Léonie’s Mother Superior hugged her twice, once for Pauline and once for Céline. Léonie sighed a couple of times and died, surrounded by her Visitation sisters. Her body was carried to the chapel choir where, despite the Nazi occupation, many people came to pay their respects. Her funeral was held on June 21, and her coffin was placed in an interior crypt in the Visitation monastery. On January 29, 2015 Rome Reports posted a short (1:54) video chat about Leonie Martin with Father Antonio Sangalli, O.C.D., the Italian Carmelite friar who is the vice-postulator of her cause. Father Sangalli is already intimately familiar with the Martin family, for he was the vice-postulator for the cause of Leonie's parents, Louis and Zelie Martin, who have since been beatified and canonized. In this video (click here X to view), he speaks of the "incredible loyalty" with which Leonie practiced Therese's way of confidence and love. NOTE: On July 2, 2015, the diocesan inquiry into Leonie's life and sanctity was opened at the chapel of the Monastery of the Visitation at Caen. She is now declared Venerable and called, "The Servant of God, Leonie Martin". 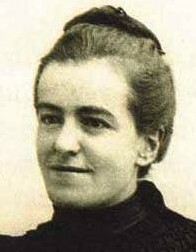 Marie-Hélène Martin was born in Alençon, France, on October 13, 1864--the fourth of nine children of Louis and Azélie Martin. Hélène was an elder sister of St. Thérèse's, although they never met on earth since she died at age 5 before Thérèse was born. Like her older sisters, she was baptised at St. Pierre de Montsort, with her eldest sister, Marie, serving as her Godmother and, accorrding to a letter her mother wrote, ‘Mr. J’ as her Godfather. We do not know for certain who he was but it is likely he was a friend her father's. Hélène was the first of the Martin children that had to be sent to a wet nurse as her mother was not able to nourish her sufficiently herself. At that time there was no other safe way to feed a young baby. Fortunately, Hélène’s wet nurse proved reliable. In the autumn of 1865, Hélène was back with her family. Among the small daughters who enlivened the home, Hélène seemed marked with some mysterious sign. She was described as "enchanting," "fresh as a rose at morning," "as affectionate as could be wished," and it was said that "her precocious intelligence gave her chatter a charm all her own." Her photograph shows refined, delicate features, with something in her countenance of a gentle gravity that makes one think of the world beyond. Almost unknown to her parents, a sort of languor was silently undermining her health. By the end of 1869 she was suffering from a series of infections and from recurrent fevers, and she seemed to tire easily. The doctor who attended her did not think there was a serious cause. However, on February 22, 1870, after scarcely a day's illness, and without the doctor having realized the gravity of the case, the dark wing of the angel of death touched her. While we cannot be certain what caused Hélène’s death, having studied the evidence in her mother's letters, some doctors think that it was probably leukemia. Her death was the third of four children the Martins lost in the short span of three years and eight months (February 1867 to October 1870). “That which hurts me the most, and which I can’t get over, is that I didn’t better understand Helene's condition . . . I had the doctor come and he told me that he found no obvious illness, and that he saw no need to come back, unless she became worse. Sunday evening she became oppressed by something. Right away I sent for the doctor. He was not in, and did not come until Monday morning. He told me the child had a fever and a congested lung, that the lung was in serious danger and that we should feed her only broth . . . after he left, I looked at her sadly, with her eyes glazed over, no life, and I began to weep. "Then she took it all but suffered dreadfully afterwards, and I did not know what was happening. She looked at a bottle of medicine which the doctor had ordered, and wanted to drink it, saying that when it was all drunk, she would be better. Then about a quarter to ten, she said to me, 'Yes, I shall soon be well again . . . yes, very soon . . .' and at that very moment her little head fell on my shoulder, her eyes closed, and five minutes later she was dead. "I shall never forget the impression it has made upon me. Neither I nor my husband expected this sudden end. When he came in and saw his poor little daughter dead, he burst out sobbing, saying, 'My little Hélène, My little Hélène!' Then we offered her to God together . . . I spent the night beside the poor little darling. She was even lovelier in death than in life. I dressed her myself and laid her in her coffin. I thought I should die myself, but I did not want others to touch her. 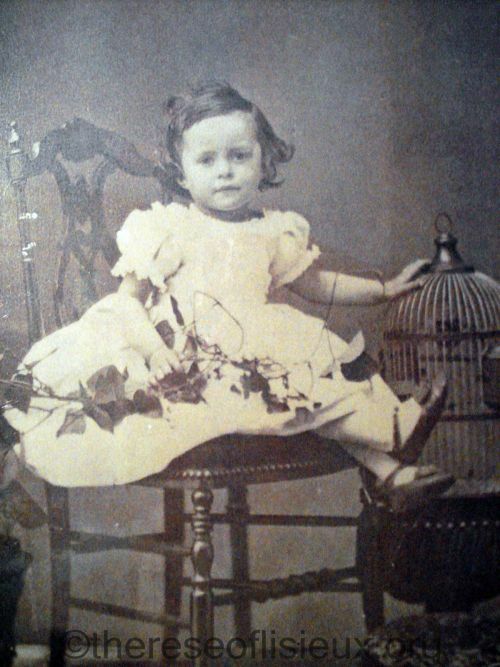 Zélie continued to celebrate the little one’s birthday each year: “Yesterday was the 11th year since the birth of little Hélène, and I thought so much of her; I will be very happy to see her again in the next life” (Letter of Oct. 14, 1875). Zélie always kept talking to her deceased little ones, down in the reservoir of her deepest prayer life. "Sometimes I imagine myself slipping away very gently, like my little Hélène. I assure you I scarcely cling to life since I lost that child. I am aware of an ardent longing to see her again. However, those who remain need me, and for their sakes I pray God to leave me a few years longer on earth. I feel deeply the loss of my two little boys, but I have suffered still more at losing this child. I was beginning to rejoice in her. She was so good, so loving and so advanced for her age. There is not a moment of the day when I do not think of her. The Sister who taught her in school, told me--and it was well said--that children like her do not live long. Well, she is in Heaven, far happier than here below, but for me it seems as though all happiness has flown." However, she got the better of it. From the Visitation Convent she received a message of hope from her sister, which, looking back, sounds like an early foretelling of the glory of Thérèse: "Oh, my dear little sister! How glad I am to see your deep faith and your resignation! You will soon find again those you mourn. Yes, your crown will be beautiful--very beautiful. Just now your heart is broken but by your acquiescence in all that God wills, there will come a fragrance which will delight the Heart of God! One day your faith and trust that never flinch will have a magnificent reward. Be sure that God will bless you, and that the measure of your sorrows will be that of the consolations reserved for you. For after all, if God is pleased with you and wills to give you the great saint you have so desired for His glory, will you not be well repaid?" In a large household there was not time to bury herself in her grief. The stream of life rose and surged ever forward. The gaps were gradually filled and the parents, while keeping before their eyes the beloved features of those who were gone, spent themselves upon those who remained, uniting in a magnificent solidarity the family on earth and the family beyond the tomb, the latter watching over the former. One day Zélie had an intuition, even a physical impression of this communion with the world beyond. Recalling how a little white lie had once escaped Hélène's lips, she harshly reproached herself for not having thought to make her go to confession. The idea that by her involuntary negligence the child was perhaps undergoing the suffering of Purgatory was unbearable. To shake off this obsession she turned to the family statue of Our Lady, the fingers of which, having been broken with much kissing, had been more than once replaced. The answer of the Immaculate Mother came forthwith: "She is here with me," tenderly murmured a mysterious interior voice. At these words the mother's anguish vanished and an indescribably joy arose in her heart, making her conceive a redoubled esteem for her high calling. Marie Céline Martin, the seventh of the nine children, came into this world on April 28, 1869, with light brown hair and hazel eyes. Days later, Céline showed the same symptoms as her deceased siblings, and so Zélie sent her to stay with a wet nurse for several months. When Zélie was diagnosed with cancer in 1877, the family tried to shield the two youngest girls from their mother’s suffering. In an attempt to explain her condition to Céline, Zélie allowed her to see the deep swelling and bruising from her shoulders up to her neck. This experience left an indelible imprint on Céline. 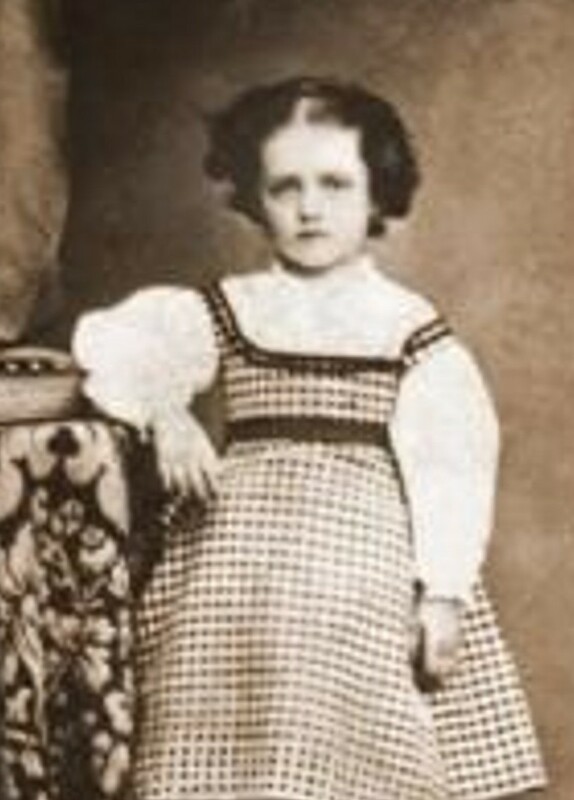 When Zélie died on August 28, 1877, Céline was only seven years old. After Zélie’s death, her family moved to Lisieux to be closer to her brother and his wife, Isidore and Céline Guérin. Louis hesitated for fear of leaving their friends and familiar surroundings. However, after much debate between Louis, Marie and Pauline, it was decided to move. Céline entered the Benedictine Abbey of Notre Dame Boarding School with her sister Léonie in 1878. Léonie stayed at the boarding school full-time, whereas Céline was only a day-boarder. Céline was placed in classes with students who were much older than she was. Despite the age difference, she was an excellent student. The Quesnels, neighbors and friends of the Martins, had a son named Albert, who often gave Céline advice on drawing and painting. On the evening of April 9, 1888, the same day her sister Thérèse entered the Carmel, Albert proposed marriage to Céline (at that time she was 18 and he was 29). She never considered saying “yes” as she knew she wanted to be a nun. However, his proposal made her question whether God was really calling her. 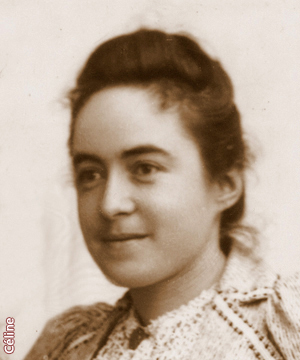 As she wrote in her autobiography years later, “I kept telling myself ‘Could this offer, which was made to me the instant Thérèse left me, be an indication of God's will for me?’” After her refusal, Albert entered the seminary and was ordained a priest. Just two months after the proposal, Céline told her father of her own call to be a nun and made a vow of virginity. She did not enter at this time, however, due to her father’s bad health. By the end of 1888 and into the beginning of 1889, Louis’ health severely deteriorated. He suffered a couple of minor strokes and frequently wandered off. On February 12, 1889, he was sent to a psychiatric hospital in Caen. Léonie and Céline went to Caen to visit him once a week for the next three years (the hospital allowed one visit per week). In the Spring of 1889, Céline and Léonie traveled with their Uncle Isidore and Aunt Céline to Paris for the World’s Fair and witnessed the unveiling of the Eiffel Tower. Weeks after returning to Lisieux, Léonie and Céline moved into their aunt and uncle’s house since the lease on Les Buissonnets had ended. During the course of three years, while Louis was staying at the psychiatric hospital in Caen, he suffered a paralyzing stroke. The family brought him back to Lisieux on May 10, 1892, and Isidore arranged for Louis, Léonie and Céline to live in a house near theirs. On July 28, 1894, Louis suffered another heart attack and died on July 29. Finally, it was time for Céline to join her sisters at the Carmel. Initially the community members were not happy about having four siblings in the same monastery, but they eventually all consented—with the exception of Sr. Aimee. Thérèse prayed: “Dearest Jesus, if Sister withdraws her opposition, I shall consider it as a sign that my father went straight to Heaven.” Shortly after, Sr. Aimee, in tears, told Thérèse she would gladly welcome Céline. Céline entered on September 14, 1894, at the age of 25. One of her biggest obstacles was her straw mattress, which gave her many sleepless nights. Next was the unappetizing food, to which it took her almost a year to adjust. The first lesson in humility that Thérèse taught her was to kiss the floor every time she entered her cell—whether it was ten, twenty, or forty times a day. She survived her postulancy and became a novice on February 5, 1895. When Fr. Delatroette heard her name was to be Sr. Marie of the Holy Face, he objected as he felt it was more fitting that she take the name of a recently-deceased founding member of their monastery, Sr. Geneviève of St. Teresa. On February 24, 1896, the day of Céline’s profession, she knelt before Pauline (Mother Agnes) and recited her prayer, “Lord, my ambition is to be like a little child in the Father’s heavenly home.” Not long after, she celebrated her veiling on March 17, 1896. In April 1896, Thérèse showed the first signs of her disease, and fell seriously ill a year later. On July 8, 1897, she was moved to the infirmary, where Céline was assistant infirmarian. On July 22, in an effort to comfort Thérèse, Céline began to read a passage on the happiness of Heaven. Thérèse stopped her by telling her that wasn’t what attracted her to Heaven, but that the attraction was, “Love! To love, to be loved, and to return to the earth to make Him loved…” Moments before her death on September 30, 1897, Thérèse turned to look at Céline for the last time. Céline later said, “The memory of that last look sustains me and is an inexpressible strength for me.” After Thérèse died, Céline ran outside in hopes of seeing her spirit ascend to Heaven. But the visibility was obscured by clouds and she said aloud, “If only there were some stars in the sky!” The clouds and the rain suddenly dissipated and the stars shone through. It was a sign for her that her sister’s soul made it to Heaven. On October 4, 1897, Thérèse’s funeral was celebrated, and she was buried in the new cemetery for the Carmelite nuns. The beginning of the process for Thérèse’s canonization began in 1910. Her sisters were each asked to give depositions. When it was Céline’s turn, she continually used the phrase “The Little Way”. The Promoter of the Faith asked her not to, as he was fearful that it would end Thérèse’s cause. But Céline said, “If it is defeated, it is defeated; but since I have sworn to tell the truth, I must give witness to what I have seen and heard, no matter what happens!” Despite the objections by the clergy, the process continued and, as history has proven, “The Little Way” has withstood the test of time. On November 14, 1916, as Céline’s devotion to the Holy Face and the Passion of Christ increased, Mother Agnes of Jesus (Céline’s sister Pauline), gave her consent to change her religious name to Sr. Genevieve of the Holy Face and of Saint Teresa. On July 11, 1937, Pope Pius XI sent Cardinal Pacelli to Lisieux for the solemn blessing of the Basilica of St. Thérèse. When the opportunity came, Céline told him that she had a sense he would be the next pope. He responded, “Pray rather that I will have the grace of a happy death. That’s more dear to me.” After the death of Pope Pius XI, Cardinal Pacelli did become the next pope, choosing the name Pope Pius XI. When Céline heard the news, she was greatly satisfied to have played the role of prophet. When Céline’s sister, Marie, died on January 19, 1940, Céline experienced the scent of roses, when there was no explanation for the aroma. She said, “I understand how the death of saints is precious in the sight of God.” A few months later, on May 10, 1940, France was invaded by Nazi Germany, and outposts were set up in most of the major cities in France, Lisieux included. For several days, beginning on D-Day, June 6, 1941, bombs, including several weighing 500 pounds, rained down on Lisieux, with the Carmel in the middle of it. The Benedictine boarding school that the sisters had attended was completely destroyed. As the buildings surrounding the Carmel were set ablaze, Céline, Pauline, and the other nuns, took refuge in the side chapel of the crypt in the Basilica of St. Thérèse, alongside the people of the town. Living a cloistered life and then being forced out into the world was challenging for all the nuns. Céline especially found it hard to bear the constant attention of the townspeople, who took turns introducing themselves and asking questions. Through prayer, peace overcame her and she made herself available to anyone who sought her attention. Finally, the British Allies advanced into Lisieux, and soon it was no longer dangerous to venture outside. Pauline and Céline took this chance to visit their family’s graves and their former home. In August, it was decided it was safe to return to the monastery. By the late 1940s and early 1950s, several books had been written about St. Thérèse that either watered down or distorted her message. To counteract these, Céline wrote a summary in February of 1950, which outlined all the misinformation and clarified all the half-truths and lies. She also wrote two books to dispel negative rumors about her parents, The Mother of the Little Flower and The Father of the Little Flower. When Céline’s sister Pauline died on July 28, 1951, they’d been in the Carmel together for nearly fifty-seven years. Céline felt the loss very deeply, and said, “Pauline and I were two old women fused together these last years; however, I am blessed to be the last surviving member of my family.” Céline received permission from the new prioress to keep a photograph of Pauline in her cell as a gentle reminder that she was always with her. There were rumors outside the monastery that Céline was suffering from mental illness and had been sent to an asylum. The gossip became so widespread that she was encouraged to come forward and engage in conversation with any dignitaries who came inside the monastery. Céline did as she was asked, and the rumors were dispelled. When the cause for her parents’ beatification was formally introduced in 1957, Céline was asked to give depositions about them, since she was the last surviving family member. The first set of proceedings for her father lasted three months. The next proceedings for her mother lasted two months. At 88 years old, Céline persevered through the entire process. As part of the proceedings, in October 1958, Louis and Zélie Martin’s remains were unearthed, placed in new coffins, and reburied at the Basilica of St. Thérèse. Céline transformed the original coffins into relics, working endlessly until the task was finished on December 12, 1958. After that, her health took a downward turn. On February 4, 1959, at the age of eighty-nine, Céline suffered a minor heart attack and her body swelled with fluid, making it difficult for her to breathe. On the morning of February 25, her community heard her repeating continuously, “Jesus!” and saw her in a state of ecstasy, which lasted for ten minutes. At 9:25 a.m., she died. To notify the townspeople, they rang the monastery bells. Then the Basilica of St. Thérèse joined in and rang theirs. Later, the radio announced the death of the last surviving sister of St. Thérèse. For three days, Céline’s body was placed in the choir where thousands of people from around the world came to pay their respects. On February 28, her funeral was celebrated, with many religious, several bishops, and numerous devotees of St. Thérèse in attendance. Afterwards, she was buried with her sisters beneath the Basilica. 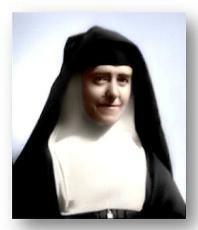 To read more about the sisters of St. Thérèse, go to the website, www.martinsisters.org.